What if I withdraw from the University? 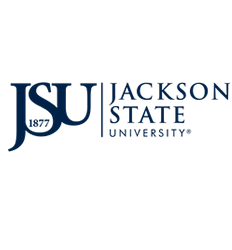 If you determine that you must leave Jackson State University after you have registered for classes, you should officially withdraw by contacting Undergraduate Studies – Retention Office at 601-979-2127 or the Student Life Office at 601-979- 2241. If you receive federal assistance and you completely withdraw officially or unofficially (leave without notice) from school during a term, the school must calculate, according to a specific formula, the portion of the total scheduled financial assistance that the you have earned and are entitled to retain. If you receive (or the university receives on your behalf) more assistance than is earned, the unearned funds must be returned to the Federal Financial Aid programs. You can view the university catalogs for more information on the Return of Title IV Federal Financial Aid Policy and the university’s refund policy. May I purchase my books and supplies with my financial aid? Yes, if you have a credit balance after all university charges are paid, you may use a portion of your credit balance to purchase books and supplies. Please view a list of merchants at http://www.jsums.edu/supercard where you may purchase your books and supplies. What if I need additional funds to assist with my cost? The Direct PLUS Loan and the Alternative/Private Loan are educational loan options when other federal, state, institutional or private aid is not available or not sufficient. The Direct PLUS Loan is for eligible parents to borrow on behalf of their dependent student. The Direct Graduate PLUS Loan is for eligible independent graduate students. The Alternative Loans are private (non-federal) educational loans for dependent and independent students. All three loan programs are credit-based and not guaranteed. For instructions on how to apply for PLUS loans, view “When the Award Package is not Enough” on the Financial Aid web page. For instructions on how to apply for Alternative/Private loans, view loans on the Financial Aid web page. Where can I obtain scholarship information offered by JSU? If I have NOT been awarded Federal Work Study, how can I apply? You may check with a financial aid counselor to see if you are eligible after the last date to add a course for the semester. If I am awarded federal work study, where will I be employed? After you attend the first day of class, you must report to the Student Employment Center to pick up your job assignment. You must claim your position by the last published date to complete registration for the semester. The student employment center can be contacted at 601-979-7120. Financial aid is disbursed in semester installments. All aid (grants, loans, scholarships) will be credited to your student account after the official last date to add and drop classes, if all requested documents are received and valid enrollment is established. First time student loan borrowers are subject to the 30 day delay disbursement for loans. What if my SAP Appeal is Denied? Some options are to: (1) contact the Business Office and make payment arrangements to complete your Registration or (2) you may apply for an Alternative/Private Loan (non- federal) educational loan which is a credit-based loan and not guaranteed. Will I have to maintain a certain GPA to continue to receive federal aid? You must progress qualitatively by earning the university’s required minimum grade point average (GPA). You must make incremental progress (PACE) toward the completion of your degree by passing 67% of all attempted hours (JSU and transfer hours) each semester or term. You must complete your program of study within a reasonable time frame (150 % of the published length of the program). How do I check the status of my Financial Aid? You may login to: www.jsums.edu; click on JSU P.A.W.S; click “Enter Secure Area (JSU PAWS)”; enter your JSU User ID and PIN number; Click Financial Aid; Click Financial Aid Status, select Aid Year and submit to view your award and overall status and messages.